The Black Death (1347-1350) was a pandemic that devastated the populations of Europe and Asia. The plague was an unprecedented human tragedy in Italy. It not only shook Italian society, but transformed it. The Black Death marked an end of an era in Italy, its impact was profound and it resulted in wide-ranging social, economic, cultural and religious changes.<ref> Burckhardt, Jacob (1878), ''[https://www.amazon.com/gp/product/014044534X/ref=as_li_tl?ie=UTF8&camp=1789&creative=9325&creativeASIN=014044534X&linkCode=as2&tag=dailyh0c-20&linkId=c69db648577e5fea459a41232bb349e6 The Civilization of the Renaissance in Italy]'', trans. S.G.C Middlemore, p. 14.</ref> These changes, directly and indirectly, led to the emergence of the Renaissance, one of the greatest epochs for art, architecture, and literature in human history. The Black Death (1347-1350) was a pandemic that devastated the populations of Europe and Asia. The plague was an unprecedented human tragedy in Italy. It not only shook Italian society but transformed it. The Black Death marked an end of an era in Italy, its impact was profound, and it resulted in wide-ranging social, economic, cultural and religious changes.<ref> Burckhardt, Jacob (1878), ''[https://www.amazon.com/gp/product/014044534X/ref=as_li_tl?ie=UTF8&camp=1789&creative=9325&creativeASIN=014044534X&linkCode=as2&tag=dailyh0c-20&linkId=c69db648577e5fea459a41232bb349e6 The Civilization of the Renaissance in Italy]'', trans. S.G.C Middlemore, p. 14.</ref> These changes, directly and indirectly, led to the emergence of the Renaissance, one of the greatest epochs for art, architecture, and literature in human history. To Black Death spread to Italy from modern-day Russia. It was spread by Genoese merchants fleeing a Mongol attack on their trading post in Crimea. The plague was carried and spread by the fleas that lived on the Black Rat and brought to Italy on the Genoese ships.<ref>Pullan, Brian S. ''[https://www.amazon.com/gp/product/B00CMHGO4K/ref=as_li_tl?ie=UTF8&camp=1789&creative=9325&creativeASIN=B00CMHGO4K&linkCode=as2&tag=dailyh0c-20&linkId=15e48ba82dfc5f5eeee14a1e5eca5898 History of early Renaissance Italy: From the mid-thirteenth to the mid-fifteenth century]'' (London: Allen Lane, 1973), p. 76 </ref> The population of Italy was ill prepared for the spread of the disease. There had been a series of famine and food shortages in the region and the population was weak and vulnerable to disease and furthermore, the population did not have any natural resistance to the disease. Italy was the most urbanised society in Europe, Milan, Rome, Florence and other Italian centres among the largest on the continent.<ref> Pullan, 1973, p. 89</ref> The majority of the urban population in cities such as Naples were impoverished and lived in squalid and dirty conditions. These factors ensured that the diseases spread quickly and that there was a high level of mortality, among the poor, although even the rich could not escape the plague.<ref>Andrew B. Appleby's "Epidemics and Famine in the Little Ice Age." 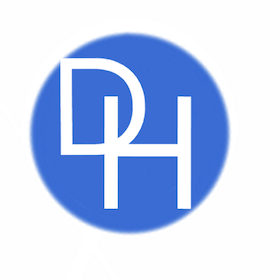 ''Journal of Interdisciplinary History''. Vol. 10 No. 4., p. 56</ref> From the cities,the plague spread like wildfire to the small towns and villages of the peninsula. The majority of the urban population in cities such as Naples were impoverished and lived in squalid and dirty conditions. These factors ensured that the diseases spread quickly and that there was a high level of mortality, among the poor, although even the rich could not escape the plague.<ref>Andrew B. Appleby's "Epidemics and Famine in the Little Ice Age." ''Journal of Interdisciplinary History''. Vol. 10 No. 4., p. 56</ref> From the cities, the plague spread like wildfire to the small towns and villages of the peninsula. The social consequences of the plague on society came to be profound. The high mortality rate resulted in a drastic decline in the labour force.<ref> Hay, Denys. ''[https://www.amazon.com/gp/product/0521291046/ref=as_li_tl?ie=UTF8&camp=1789&creative=9325&creativeASIN=0521291046&linkCode=as2&tag=dailyh0c-20&linkId=20ec38bb2892fda8011774d1b91c7f5b The Italian Renaissance in Its Historical Background]''. (Cambridge: Cambridge University Press,1997) p. 19</ref>. Wages rose for both agricultural and urban workers. 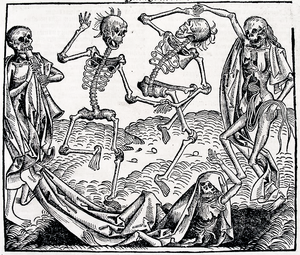 The survivors of the Black Death generally had a higher standard of living than before the plague.<ref> Hays, 1997, p. 78 </ref> This was a phenomenon that occurred in both urban and rural areas. The crisis caused by the Black Death led to many changes in the economy, in response to the fall in the population. Because of the labour shortages there was a move from labour intensive farming such as cereal to livestock and increasingly both in industry and agriculture more labour saving devices employed.<ref> Pullan, 1997, p 145 </ref> The impact of the Black Death was contrary on feudalism in Italy. Feudalism was a system whereby peasants and farm labourers bound, as serfs, to serve a local lord. In the north of Italy, good farmland was plentiful and wages increased and the last vestiges of feudalism disappeared as serfs increasingly could purchase their freedom. The social consequences of the plague on society came to be profound. The high mortality rate resulted in a drastic decline in the labor force.<ref> Hay, Denys. ''[https://www.amazon.com/gp/product/0521291046/ref=as_li_tl?ie=UTF8&camp=1789&creative=9325&creativeASIN=0521291046&linkCode=as2&tag=dailyh0c-20&linkId=20ec38bb2892fda8011774d1b91c7f5b The Italian Renaissance in Its Historical Background]''. (Cambridge: Cambridge University Press,1997) p. 19</ref>. Wages rose for both agricultural and urban workers. The survivors of the Black Death generally had a higher standard of living than before the plague.<ref> Hays, 1997, p. 78 </ref> This was a phenomenon that occurred in both urban and rural areas. The crisis caused by the Black Death led to many changes in the economy, in response to the fall in the population. Because of the labor shortages, there was a move from labor-intensive farming such as cereal to livestock and increase both in industry and agriculture more labor-saving devices employed.<ref> Pullan, 1997, p 145 </ref> The impact of the Black Death was contrary on feudalism in Italy. Feudalism was a system whereby peasants and farm laborers bound, as serfs, to serve a local lord. In the north of Italy, good farmland was plentiful, and wages increased, and the last vestiges of feudalism disappeared as serfs increasingly could purchase their freedom. The world was turned upside down by the Black Death. The mental outlook of people changed dramatically. Previously, people assumed that the world was fixed and God-ordained. The Black Death overturned old certainties. As we have seen religious orthodoxy and beliefs were undermined by the plague and its devastation. People at the time were no longer willing to accept the status quo. 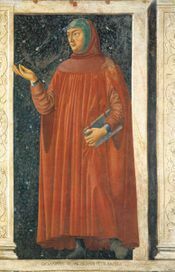 This is best seen in the political revolts of the time.<ref>Benedictow, 2004, p. 174</ref> The most famous of these, that of poor workers and weavers called popularly the Ciompi, that took place in Florence in 1378. For four years, the poor formed the government of the city. The revolt was one of several in Italy at the time. No longer are people as willing to question the old ways of doing things and no longer accepted things because they were sanctioned by tradition. The world was turned upside down by the Black Death. The mental outlook of people changed dramatically. Previously, people assumed that the world was fixed and God-ordained. The Black Death overturned old certainties. As we have seen the plague and its devastation undermined religious orthodoxy and beliefs. People at the time were no longer willing to accept the status quo. This change manifested in the numerous political revolts of the time.<ref>Benedictow, 2004, p. 174</ref> The most famous of these, led by the poor workers and weavers called popularly the Ciompi, that took place in Florence in 1378. For four years, the poor formed the government of the city. The revolt was one of several in Italy at the time. No longer are people as willing to question the old ways of doing things and no longer accepted things because they were sanctioned by tradition. Initially, the Black Death led to a fascination with death among many Italians. The loss of life and the suffering led many to become obsessed with death.<ref> Herlihy, D., ''[https://www.amazon.com/gp/product/0674076133/ref=as_li_tl?ie=UTF8&camp=1789&creative=9325&creativeASIN=0674076133&linkCode=as2&tag=dailyh0c-20&linkId=ed19d965a5f4e3c1389be15f87195a5d The Black Death and the Transformation of the West]'' (Cambridge, Massachusetts: Harvard University Press, 1997) p. 116</ref> The Dance of Death was a popular motif in art and architecture at this time. The general mood was one of pessimism and indeed many expected that sooner or later that the world would end. Alongside this fear of death and the general mood of pessimism, there was a desire to experience the pleasures of life and to seize any happiness that was on offer. This contradictory impact of the Black Death on the culture of the time can be seen in the writings of two of the greatest figures in European literature, Petrarch and Boccaccio.<ref>Benedictow, 2004, p. 173 </ref> These two writers at times wrote in despair about the human condition yet they also wrote about the joys of life and the beauties of nature. Initially, the Black Death led to a fascination with death among many Italians. The loss of life and the suffering led many to become obsessed with death.<ref> Herlihy, D., ''[https://www.amazon.com/gp/product/0674076133/ref=as_li_tl?ie=UTF8&camp=1789&creative=9325&creativeASIN=0674076133&linkCode=as2&tag=dailyh0c-20&linkId=ed19d965a5f4e3c1389be15f87195a5d The Black Death and the Transformation of the West]'' (Cambridge, Massachusetts: Harvard University Press, 1997) p. 116</ref> The Dance of Death was a popular motif in art and architecture at this time. The general mood was one of pessimism, and indeed many expected that sooner or later that the world would end. Alongside this fear of death and the general mood of pessimism, there was a desire to experience the pleasures of life and to seize any happiness that was on offer. This contradictory impact of the Black Death on the culture of the time can be seen in the writings of two of the greatest figures in European literature, Petrarch and Boccaccio.<ref>Benedictow, 2004, p. 173 </ref> These two writers at times wrote in despair about the human condition yet they also wrote about the joys of life and the beauties of nature. The plague disrupted society to an unprecedented state. It overturned the existing social structure. Previous, to the outbreak of the plague, Italy was a rigid and stratified society. 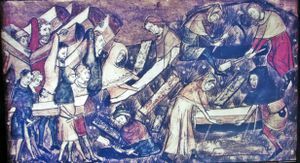 The Black Death changed everything. Increasingly, because of the demographic disaster caused by the plague were able to take advantage of the opportunities caused by the high death rate. In the period after the Black Death, an unprecedented amount of social mobility took place. Labourers became merchants and merchants become members of the nobility. No longer was a person’s destiny to be fixed by their birth. Previously, people assumed that one’s station was fixed at one’s birth and that one had to remain a member of the class you were born into.<ref> Benedictow, 2004, p. 73 </ref> People believed that a peasant would always be a peasant, an aristocrat, and aristocrat. Italians, like other peoples, in Europe, believed that one’s birth determined one’s future and that this was determined by God.<ref>Pullan, 1973, p. 123 </ref> However, as social mobility became more widespread because of the Black Death, many people, came to believe that a person’s merits or abilities were what mattered and not one’s birth.<ref>Benedictow, 2004, p. 174 </ref> This led to a growing individualism in Italian society. This, in turn, encouraged people to strive and to develop their talents and achieve excellence or virtue.<ref>Burkhardt, 1878, p. 78</ref> The belief in the individual was central to the Renaissance and it inspired many of the greatest artists, architects, sculptures and writers, the world have ever seen to create peerless works. The plague disrupted society to an unprecedented state. It overturned the existing social structure. Previous, to the outbreak of the plague, Italy was a rigid and stratified society. The Black Death changed everything. Increasingly, because of the demographic disaster caused by the plague were able to take advantage of the opportunities caused by the high death rate. In the period after the Black Death, an unprecedented amount of social mobility took place. Laborers became merchants and merchants become members of the nobility. No longer was a person’s destiny to be fixed by their birth. Previously, people assumed that one’s station was fixed at one’s birth and that one had to remain a member of the class you were born into.<ref> Benedictow, 2004, p. 73 </ref> People believed that a peasant would always be a peasant, an aristocrat, and aristocrat. Italians, like other peoples, in Europe, believed that one’s birth determined one’s future and that this was determined by God.<ref>Pullan, 1973, p. 123 </ref> However, as social mobility became more widespread because of the Black Death, many people, came to believe that a person’s merits or abilities were what mattered and not one’s birth.<ref>Benedictow, 2004, p. 174 </ref> This led to a growing individualism in Italian society. This, in turn, encouraged people to strive and to develop their talents and achieve excellence or virtue.<ref>Burkhardt, 1878, p. 78</ref> The belief in the individual was central to the Renaissance and it inspired many of the greatest artists, architects, sculptures and writers, the world have ever seen to create peerless works. The Black Death devastated Italian society in the middle of the 14th century. It led to great socio-economic, cultural and religious changes. 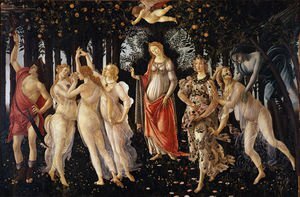 After the initial horrors of the plague, Italian society, staged a spectacular recovery. It became richer, the influence of the Catholic Church was weakened and the culture became more secular. The social mobility made possible by the loss of life meant that individualism came to be respected. The Black Death was to unleash the forces in Italian society that made the Renaissance possible.